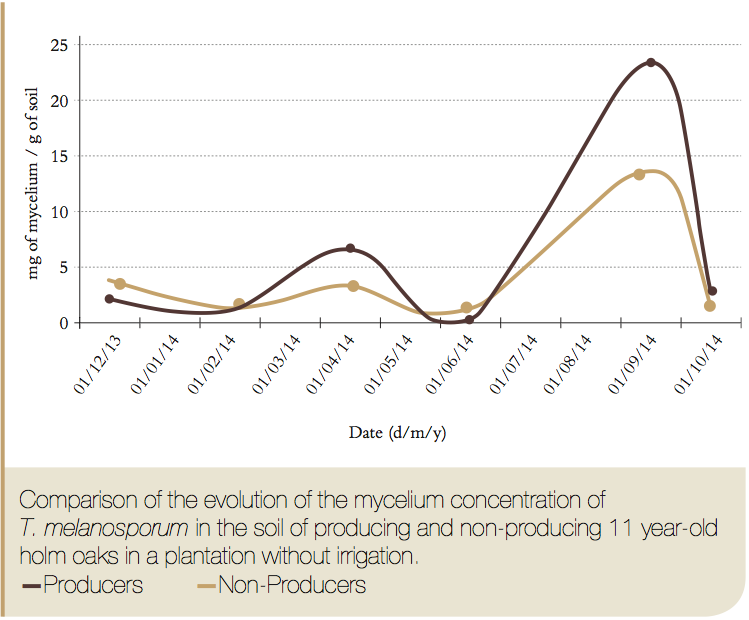 Mycorrhization status analysis. 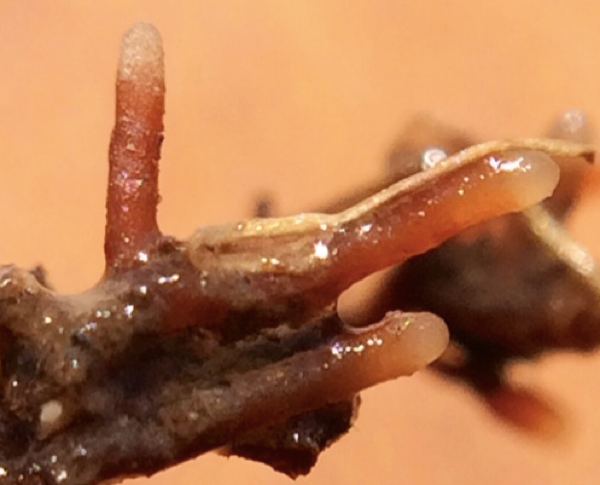 This indicates the level of truffle colonisation in the host tree and its potential to produce, as well as the levels and relative proportions of other contaminating fungi. 75€/ sample to sequence a fungi to know exactly what specie is. Molecular analyses are based on quantitative PCR. This technique is harmless to the plantation, and it is simple, as the truffle farmers can gather the necessary soil samples themselves. 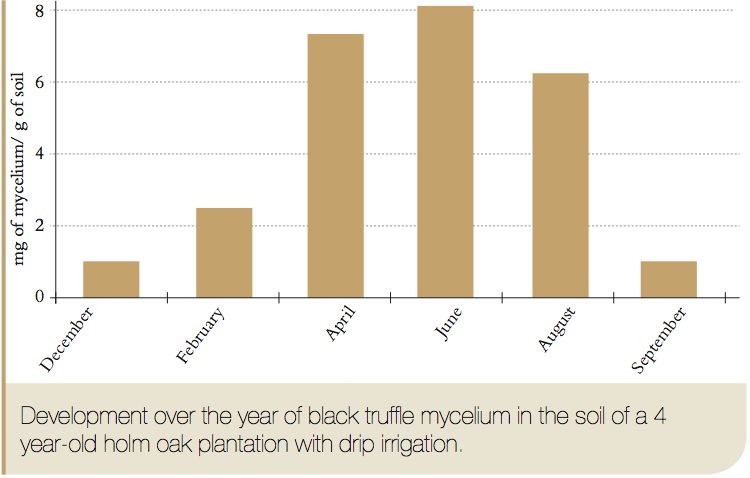 Once in the laboratory, the truffle is amplified for species identification and compared against a standard curve with known amounts of mycelium. Through an R & D we created curves benchmark for Q. ilex in truffieres of different ages, comparing productive and not productive trees.